Your bed is more than a place to sleep. It's the center of your life. Hickory Springs Manufacturing Transitional Sleep Series ™ foundations can help you get the comfort and support you need for all of the things you do in the bedroom - from catching up on emails, to watching television to simply lounging. Our adjustable foundations allow you to adjust the head or foot of the mattress, allowing you to adjust your bed to your lifestyle. Choose from our most affordable TS 150 base with essential features, our TS 250 with the invigorating all body massage option and wall-hugging design or the newTS 300 which offers USB ports and Bluetooth capability. Take control of your comfort with the TS150 which allows you to find the perfect position that's "just right" for you with custom head and foot articulation. Available in Twin, Twin XL, Full, Full XL, Queen, Split King and Split California King. 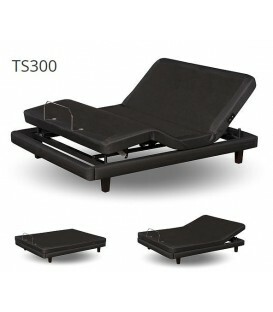 What type of mattress will work with the Transitional Sleep series? 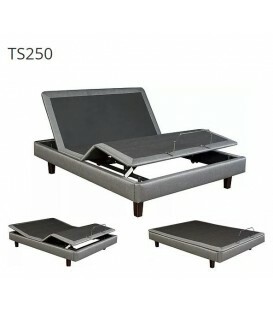 The Transitional bases are compatible with most foam and innerspring mattresses and can be used with the custom-built Perceptive Sleep mattress by HSM Bedding Solutions. Can you attach a headboard and footboard to the adjustable base? Yes - with the headboard brackets (sold separately) you can easily attach a headboard or footboard to the base. The base was also designed to fit inside a bed frame to integrate with your existing bedroom furniture. You can purchase Transitional adjustable base accessories and or replacement parts by contacting the HSM Call Center. The “zero gravity” position is where your head is slightly raised and feet are above the heart. This position can be helpful for relieving back pain and improving circulation. What is the bed weight limit? Where do I locate the serial number for registration? The serial number is located on the back of the wired remote control for the TS 150 and inside the battery compartment of the wireless remote controls for the TS 250 and TS 300. 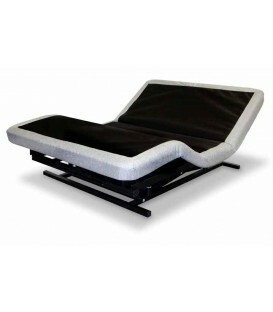 Your adjustable bed base is warranted against defects in materials or workmanship for a period of one year from the date of purchase by the original purchaser. This warranty is not transferable. During this period HSM will repair or replace, at no cost to the original purchaser, any defective part or workmanship. During this one year period HSM will bear full responsibility for all authorized warranty related costs, including labor and transportation costs incurred in connection with the repair or replacement of any part found to be defective. Beginning one year from the date of original purchase through 36 months, from said date, HSM will replace any part on the adjustable bed base found to be defective. Note: This limited warranty specifically excludes labor, shipping and transportation costs which will be charged to the purchaser. This warranty is limited to the replacement of the defective electrical/mechanical part(s). Beginning 37 months from the original purchase date through year 20 (month 240), HSM will replace, consistent with the terms and conditions set forth herein, the adjustable bed base electrical/mechanical part(s) found to be defective as follows: Purchaser shall pay 1/17 of the then current replacement cost of the defective part multiplied by the number of years after the 3rd year, from the original purchase date. This warranty applies only to the replacement of defective or electrical and/or mechanical parts. 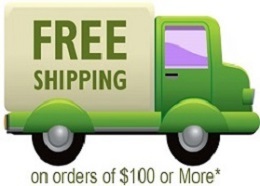 Purchaser will be responsible for labor, transportation and shipping costs and any installation and service fees or expenses. All warranty claims are subject to verification by HSM. This warranty will be null and void if the product is subject to abuse, misuse or is otherwise operated in a manner not consistent with HSM’s User Manual. Under no circumstances shall HSM’s liability exceed the purchase price paid by the original purchaser. Under no circumstances shall HSM be liable or responsible for claims seeking special, indirect or consequential damages. Note: Additional conditions apply concerning weight distribution. This warranty only applies to original owner. This warranty will be modified where necessary to comply with state laws that do not permit the exclusion or limitation of incidental or consequential damages. 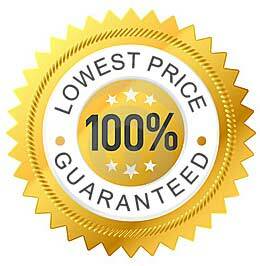 This warranty is valid in all States within the United States, the District of Columbia, Puerto Rico, and the 10 Provinces and 3 Territories of Canada. For customer service under this limited warranty, please give notice to HSM by mail, phone, email or online to the addresses set out below:For warranty claims, call Customer Service at 1-844-433-2435 or send an email to: thamlin@hsmsolutions.com. PRODUCT RATINGS: The adjustable bed base lift motors are not designed for continuous use. Reliable operation and full life expectancy will be realized as long as the lift motors do not operate any more than five (5) minutes over a thirty (30) minute period, or approximately 10% duty cycle. Note: Massage equipped bases are not designed for continuous, extended massage operation. Massage systems are rated for a maximum of 2 hours of use within any 6 hour period. Any attempt to circumvent or exceed product ratings will shorten the life expectancy of the product and may void the warranty. This warranty will be null and void if the product is subject to abuse, misuse or is operated in a manner not consistent with HSM’s operating instructions and User Manual. Your bed is more than a place to sleep. It's the center of your life. Our adjustable foundations allow you to adjust the head or foot of the mattress, allowing you to adjust your bed to your lifestyle.